Almost every major brand has a social media presence these days. Some companies think that it’s enough to just open an account on Twitter and have a page on Facebook, but a growing number of companies actually make good use of those accounts and make it easy for their loyal customers to interact with the brand in a meaningful way. Check out the following five brands that all use social media to good effect. Perhaps you could use their know-how to further your own brand. The social media agency that works with Microsoft in general deserves a lot of praise. They’ve had to deal with a lot of trouble this year, with reports of the “FIFA hack” for Xbox live making many customers nervous. 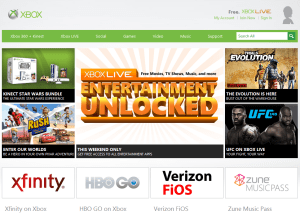 Microsoft responded with improved services, some great offers, and the launch of a new Xbox dashboard that lets people engage with social media via their console. Now, social services, and streaming media, account for more Xbox time than actual online gaming does. That definitely counts as a social media success. HMV’s target audience is young, tech savvy people with a disposable income, and that’s a group that a good social media agency can easily harness. 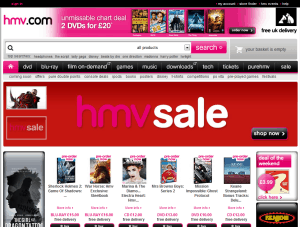 HMV has a presence on just about every social network you can think of – even MySpace and Tumblr! They also have a smartphone app that can be used to see how much certain products would be worth on trade-in. The person who came up with that idea deserves a massive annual bonus, in my opinion. Instead of relying on a social media agency, Intel put together a social media team in-house. In addition to the usual presence on social sites, Intel runs a developer programme that makes it easy for people to make software to run on Intel’s hardware. 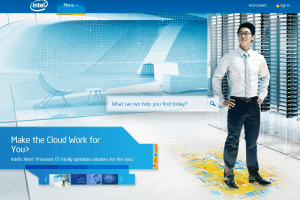 They work with developers and manufacturers, and turn those people into advocates for Intel. That means they get double the return for their social media efforts. 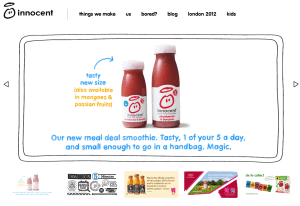 Innocent drinks started life as a bunch of friends selling drinks at a music festival. Today, they have a whole line of smoothies, other natural drinks, and even super-healthy microwave meals. The company uses Facebook, Twitter, YouTube, Flickr, and Instagram, as well as having a regular newsletter that is a joy to read. Innocent Drinks are one company that has kept their sense of humour as hey’ve grown. interact with their fans on a regular basis. Many performers also have their own mini show on YouTube. The WWE takes social media so seriously, that they even use it as a plot mechanic. An important gimmick of one of their “heel” (bad guy) announcers, Michael Cole, is that he constantly boasts about how many Twitter followers he has, and insists on pointing out how often he is “Trending on Twitter, Worldwide!” The WWE may have arrived a little late to the social media party, but now that they’re using it, they’re certainly using it well. Article by Amy Fowler of social media experts, Boom Online Marketing. For more from Boom, follow them on Twitter.